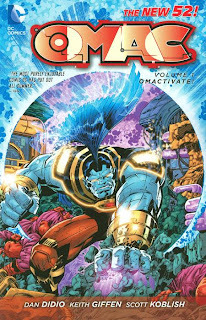 With issues of the rights and credit due to the late Jack Kirby back in the news surrounding the Avengers movie, Dan DiDio and Keith Giffen's OMAC: Omactivate can be seen as a tribute or, more cynically, a land-grab. Certainly each issue of OMAC credits Kirby as the character's creator; however, considerably more of Kirby's creations appear in these pages than just OMAC. Despite that one other of Kirby's characters has already appeared quite prominently in the DC Comics New 52 universe, it's a surprise to see many of these others so early and, distressingly, to see them in a title that's subsequently cancelled. Whether their use is to stake claim to these characters in the New 52 from the outset or to feed other storylines still to come, it is nice to see Kirby's world perseveres, but OMAC fails to innovate with the characters in any significant way. DiDio and Giffen's Omactivate, to be clear, is plenty of fun. It's a brawler of a comic in Incredible Hulk fashion, with shades of the Hulk or Fugitive television shows. Hapless Kevin Kho is ushered from town-to-town by the sentient satellite Brother Eye, inevitably running afoul of some weird science creature that necessitates Kho's transformation to the brutish OMAC. This can get repetitive, though OMAC never professes to be more than what it is. Some slack must also be given to the book since it's still very much in set-up mode when the series is cancelled with this volume's final chapter. The OMAC, if visually appealing, is the least interesting aspect of the series (nor is Kho all that developed, at least until the final and perhaps best chapter, when the creators open up about Kho's Cambodian heritage and his childhood feelings of isolation). Rather, DiDio and Giffen turn the series on the forces working both for and against OMAC -- Brother Eye, Max Lord and Checkmate, Sergeant Steel, Frankenstein and SHADE, and what even appears to be a Female Fury. On a number of occasions, it's the story's "guest stars" -- those people Kho encounters in his journey -- who steal the show, including the new Amazing Man Rocker Bonn, and the talking tiger Prince Tuftan and his crew. All of this makes for an enjoyable comic. It's hard to see how OMAC could continue without some change in the status quo, most likely Kho asserting some independence against Brother Eye and taking control of his own adventures. This happens, to a point, at the end of the book, but it's hard to say if this was always meant to be or a quick-change function of the book ending. Either way, OMAC is rock 'em, sock 'em fun, though it's not hard to see why this book was cancelled since all rock 'em, sock 'em does not a lasting book make. The inclusion of Prince Tuftan, however -- along with a Female Fury and also Project Cadmus, Dubblex, Mokkari, and the Evil Factory -- ought be an indication to DC Comics historians that OMAC is not the only Kirby property at play here. Rather, OMAC is a veritable Jack Kirby mash-up of OMAC and the Kamandi and Fourth World characters, though Kirby is only credited here for OMAC. This is not the first time all of these characters have met, mind you -- these characters had some interplay in Karl Kesel's Superboy and Final Crisis/Countdown to Final Crisis, if not even earlier. But in as welcome as a Kirby mash-up series might be, it's a shame DiDio and Giffen don't stretch it farther. OMAC himself may have subtle changes, but Cadmus is still a covert genetics project still secretly run by the forces of Apokolips, Mokkari is still the lead scientist, his partner is still the man-ape Simyan, and so on. From the moment Mokkari comes onstage, the informed reader knows Simyan is around the corner, so when Simyan is "revealed" in the seventh chapter, it's not much of a surprise. In essence OMAC follows exactly the larger story of Kirby's Superman's Pal Jimmy Olsen, with Kevin Kho to an extent in the Olsen role and Max Lord replacing Morgan Edge as Darkseid's unwitting pawn. Eric Wallace's short-lived Mr. Terrific series, in contrast, took the basic personality and character set of the "old" DC Universe's Mr. Terrific and reimagined and expanded on it for a new universe; DiDio and Giffen instead simply graft the original Fourth World story on to DC's new continuity. The difficulty is that whereas a television show like Smallville could tease Clark Kent's eventual transformation to Superman for ten years, the same in the DC New 52 must lose its value at some point. When Sergeant Steel appears in OMAC two-handed, the reader knows it's only a matter of time before he loses one of those hands to be replaced by a metal one; sure enough, by the end of the book, he does. This kind of call-and-answer is gimmicky, placing the focus not on storytelling but on little teases toward the eventual (but at the same time unlikely) reestablishment of the "old" DC Universe. It's the same reason readers receive the romance between Superman and Wonder Woman with some skepticism, because they know it's only a matter of time until a writer gets the green light to let Superman date Lois Lane. When the Female Fury in OMAC just happens to describe another Fury resembling Big Barda, the reader already knows that Barda will break free from the Furies and end up with Mister Miracle -- or, trying to run against type, the writers will have Barda stay with the Furies, or hate Mister Miracle; either way, OMAC sets DC on a path of telling the same stories over again. Giving Mr. Terrific new enemies and a new supporting cast takes the DC Universe in a new direction; having Mokkari kowtow to Desaad in the depths of Cadmus is just more of the same. OMAC: Omactivate will be a treat, therefore, for Jack Kirby fans or those Kirby fans worried that "The King"'s more esoteric characters might not have survived the transition to the DC New 52. At the same time, this is simply a re-telling of Kirby's original stories, without even the modernization or mystique Grant Morrison applied to them in Final Crisis, and probably more needs to be done for those characters to appeal to the type of audience DC's New 52 is trying to attract. Coming up ... Hawk and Dove, Deathstroke, Batman: The Dark Knight, and more. OMAC was a real treat to read in floppies because it was a nice dose of enthusiastic nuttiness in the middle of my otherwise conventional pull list, but I can certainly see how its rhythm wouldn't quite work in a collection (and trade-waiters might be miffed to know that OMAC has a solo story in "DC Universe Presents" #0). It's hard to say how much OMAC got short-shrifted because of the cancellation, but with OMAC stepping into JLI (and DiDio co-writing the Annual finale for the series) I think it's safe to say that the Big Blue Mohawk isn't gone for good. I find your comments about the New 52 retelling the stories of the old DCU an interesting but largely unwanted idea. While I'm okay with the necessary re-establishing of each character's origins, introducing characters in the New 52 just to set them up to become the more familiar versions of themselves (such as a two-handed Sergeant Steel) seems...trite? I am okay with it generally when the media is different (for example, an animated or movie version of a comic character/team), but I hope the New 52 isn't going to be about retelling the same stories that long term readers were already familiar with. Speaking of which, I think I read in a recent solicit that (SPOILERS - MAYBE) Green Arrow was going to be losing his fortune - again. Even though I didn't really care for the first issue of the new Green Arrow series, at least they seemed to be going in a new direction (or, maybe, the "original" direction) with it. I would say the whole Clark Kent/Lois thing falls under the same umbrella. Everyone and their uncle feels that it's just a matter of time before that romantic triangle is restarted. At the end of the day, I guess I'm okay with it as long as the stories are "good" and interesting, in much the same way that we can watch The Dark Knight knowing that Harvey Dent is inevitably going to turn into Two Face. @Zach - I have been glad to see the Kevin Kho OMAC isn't gone for good and is appearing in other titles -- not just because it justifies my purchase of the OMAC volume (whereas Man of War seems like something of a "waste" except for the enjoyment of the volume itself), but also because I like Kho as a character even if I don't think he was best used here (though DiDio's final OMAC volume was really quite interesting in its "profile of a loner" aesthetic). In general I'm glad the DC New 52 tends to keep characters even after their series end -- Mr. Terrific, Hawk and Dove, and Static are all characters I like and want to see more of, if under different creative teams. Good point on how OMAC might be a title that reads better monthly than as a collection. On DC Universe Presents #0, I'm hoping that issue is collected in the next DCUP trade. @Mark - Yes, when I saw that solicit about Green Arrow, I also thought it was another example of the same thing. Trite is a good word for it. I said at the outset of the DC New 52, if they want to rewrite the Teen Titans' origin or annual the Clark Kent/Lois Lane marriage, I won't complain too loudly -- things need freshening up once in a while, and fans went through the same thing after Crisis on Infinite Earths and the DCU was better for it, so I was willing to keep the faith. But, what I did not want was to read another re-hash of Great Darkness Saga a la Legion: Foundations -- if they want to tell new stories, fine and great, but I don't have patience for poor retelling of old stories that were better the first time. So far I haven't seen much evidence of that, but Sarge Steel losing his hand (and Mokkari working for Desaad) were big ol' red flags. If G. Gordon Godfrey takes to the airwaves, I'm going to start squawkin'. Glad you posted this as I just read the collection yesterday. I read a couple of the issues last year and was impressed enough with it to hold off until the tpb. I'll preface by saying I never read any New Gods stuff and my only exposure to these characters was in Final Crisis. So I didn't pick up of Sarge Steel having both hands as a prelude to losing one. I simply didn't know. 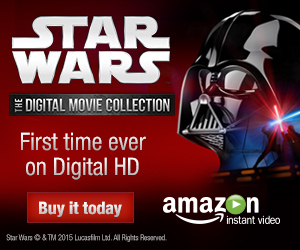 Maybe I'm the target audience for this (I've only been reading comics since 07)? I personally really enjoyed OMAC. It was just a fun, simple, crazy sci-fi comic. Normally, as far as superheroes go, I stick to the street level stuff. But I like crazy idea books (such as Morrison's stuff) as well. As an aside, actually pretty much anything outside of super heroes is fair game for me (as my massive library attests to). It's too bad it was cancelled. The pacing actually feels right for the first 7 issues, and then the last one just closes things off without any real lead up. It just sort of happens. It feels like there should have been another issue or two before number 8. I talked to Dan Didio a month ago at Fan Expo. He says depending on the trade sales, him and Keith are ready to do another arc. Says they even had the story lined up. But even though he's the boss, no exceptions if the book is under performing. Perhaps aimless (and was this update even needed actually?) but fun enough. Like a fun tribute to an old silver age concept.